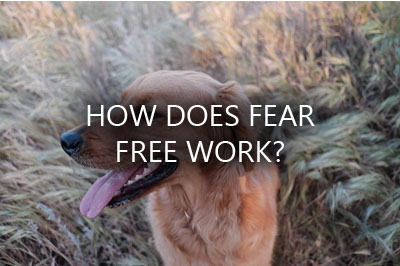 Fear Free is a new movement within the veterinary community that focuses on reducing the anxiety of doctor visits for pets. The goal of this practice is to create a welcoming environment for the patients in order to ensure that their medical care is simple and stress free–for them and their humans. Thanks to cutting edge scientific research, veterinary care can be more inviting than ever before. Our staff at Loyal Companions has studied the effects of music, colors, body language, and much more on dogs and cats. This knowledge will create an experience that is as pleasant as possible. Our medical team lets the pets initiate interaction and, with the help of some treats, can make check ups feel more like a game. Pets will receive personal care from their very first visit; our team will get to know the dogs’ and cats’ individual preferences in order to make their treatment fitting to their needs. Everything about Fear Free is designed to suit the pets, down to the smallest detail. The music playing in our hospital has been shown to calm dogs and cats. Staff will be wearing colors that appeal to the animal’s range of vision. The rooms and staff uniforms all contain a relaxing scent that only pets can detect. Everyone at Loyal Companions has been trained in low stress handling techniques so during medical procedures pets will remain calm and comfortable. At Loyal Companions the pet’s experiences are most important. From the moment animals walk through our hospital doors, they are observing and reacting to the environment. 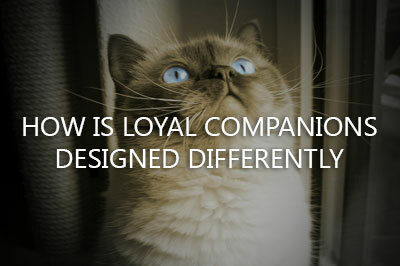 At Loyal Companions, pets will be comfortable at every juncture. Cats have a separate entrance, exam room, and treatment center from dogs. This will help avoid encounters between dogs and cats, preventing stress for all. At Loyal Companions there is no waiting room, instead pets and their owners will go straight to an exam room. This means that there is no need for the animals to spend time in an extremely stressful environment nor will they ever have to interact with new dogs or cats. There will be a period of time in which the patient can adjust to the new sights and smells and the owner can provide information about their pet for our medical staff . During overnight hospital stays, the animals won’t be put behind vertical bars, which have been shown to be stressful for them. They also won’t be housed across from other pets, which can cause anxiety for both parties. At Loyal Companions, we strive to provide every patient with the best possible care. This goal is a lot easier to reach when the animals are relaxed and comfortable. When pets are agitated, their stress can interfere with diagnosis. Stress can cause altered heart rate, temperature, blood pressure and even blood results. Being Fear Free means our patients’ medical care will be much more accurate. Apart from this, having pets that want to visit our hospital means less work and stress for their owners. Instead of veterinarian visits being an ordeal, they will be pleasant and simple. Pets will enjoy getting the care that they need, instead of dreading it. 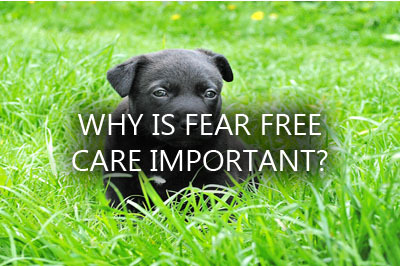 With No Fear medical care, pets’ health, happiness and longevity will be improved.